Yesterday we awoke at 4:00 AM and sleepily rode an hour in an open jeep with the freezing cold wind blasting us from all sides. Blankets were provided for the drive, but it was still very uncomfortable. We arrived at Hluhluwe-Umfolozi Game Reserve when it was just getting light, and we had a brief toilet break at the visitor center before our game drive. There was a covered patio area in front of the doors to the toilets, and bats were darting throughout the space. They were lightning fast, and I just ducked and ran to the door. When I was finished, I opened the door to leave and a bat almost flew in my face. I darted back out again and walked over to the jeep. The first animal we saw on the game drive was a white rhinoceros, the first one I've seen since Matobo National Park in Zimbabwe over six weeks ago. 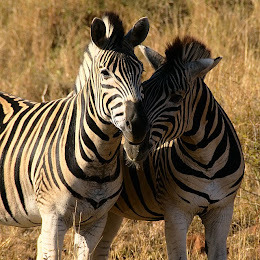 As the morning sun thawed us out, we saw giraffes, warthogs, impala, wildebeest, nyala, kudu, and quite a few zebras. After the game drive in Hluhluwe-Umfolozi, we met the Nomad truck in the town of Mtubatuba and proceeded to a traditional Zulu village called DumaZulu. It was really touristy, and the villagers were obviously just actors, but it was still an educational facsimile of a real village. 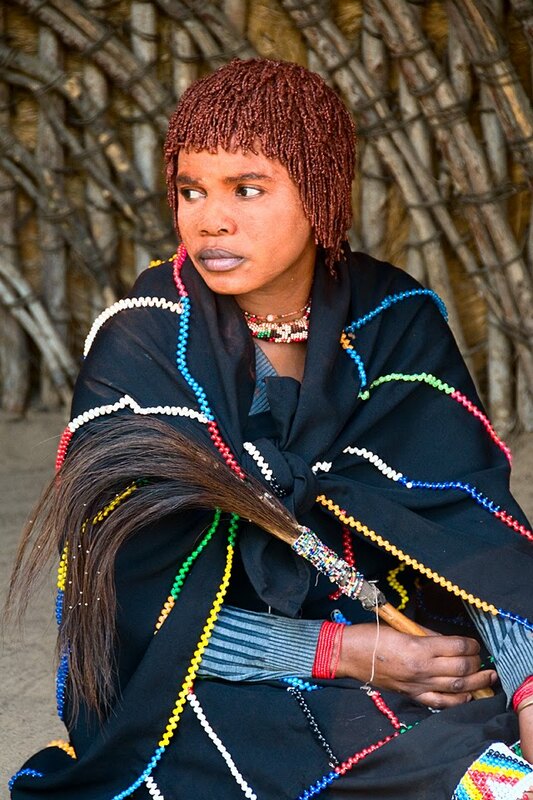 We learned about the language, crafts, and social system of the Zulu. Married women cover themselves with a beaded black garment and wear a red hat, while unmarried girls wear only beads to cover themselves. We met the fortune teller, who identifies herself by covering her face in red clay. She reads fortunes by throwing bones on the ground and interpreting the patterns. After walking through the village, we ended up in an outdoor theater area where we watched a Zulu dance, similar to the one we saw the night before in St. Lucia. From the village, it was slightly over an hour to the Swaziland border, and the crossing was quick. 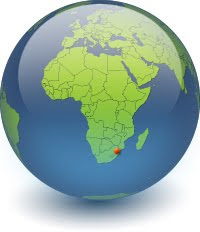 Swaziland is a tiny country enclosed on three sides by South Africa and bordered by Mozambique in the east. The entire country is about the size of Connecticut and Rhode Island combined. Three hours after crossing the border, we arrived at our campsite in Mlilwane Wildlife Sanctuary. 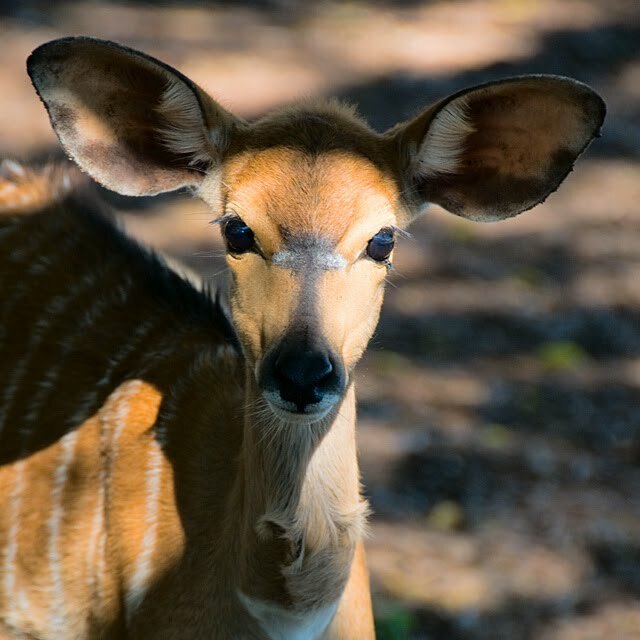 There are no predators in the park, and nyala and impala wander freely into the campsite. When I went to the bathroom block from my tent that night, I walked right through a group of eleven impala. This morning, we went on a game walk through the park. 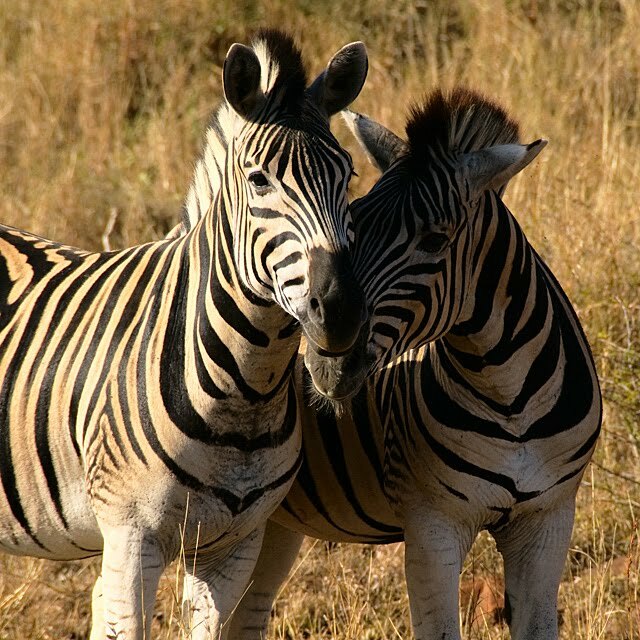 We saw a few zebra and the various common types of antelope we've seen a thousand times, such as impala, blesbok, and wildebeest. We came to some mud pits near the large lake, and we had to cross via slippery logs that had been laid across the sludge. At the lake, we saw a hippo and a few crocodiles sunning themselves on the banks. In the afternoon, we went on a tour of a nearby village. The girls from our group had to wear sarong-like garments featuring an image of the Swazi king to show respect. 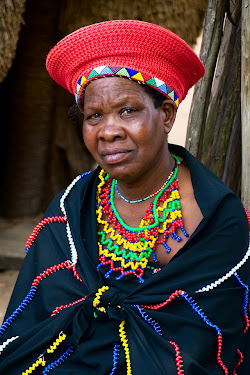 The older woman who was the village's chief told us, through a translator, about their way of life. She showed us how they weave baskets using gourds as molds, balance large jugs on their heads, and crush maize into flour using a grindstone. The girls from our group joined the girls from the village in a dance, and then us guys had to join the boys in a dance. Before we left, some of the women sold us curios handcrafted in the village. At the end of our visit, all the children performed a farewell dance for us. 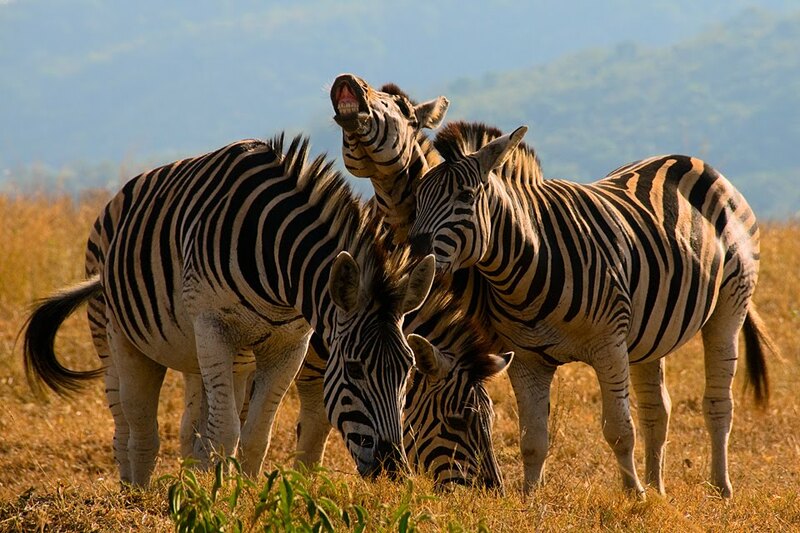 This Swazi village is an authentic, functioning place and therefore much more fascinating than the Zulu village near St. Lucia that was developed for tourists. 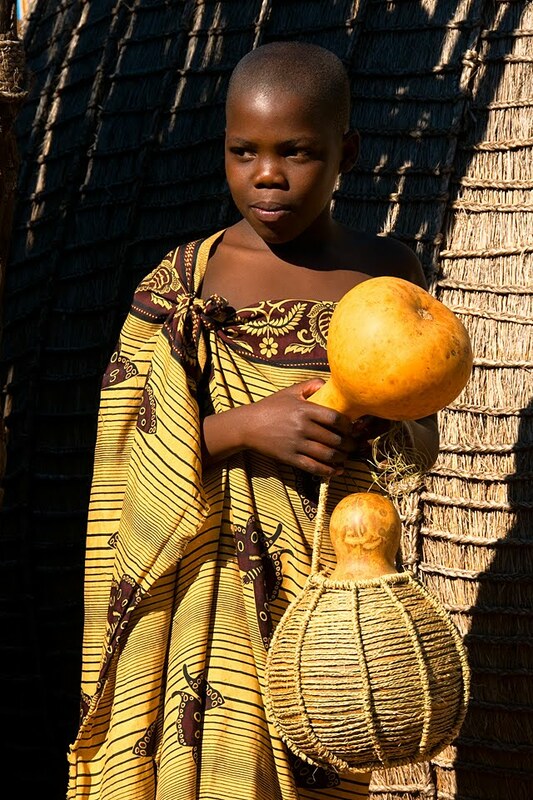 A girl holds gourds in a village in Swaziland. Children dance in a village in Swaziland. 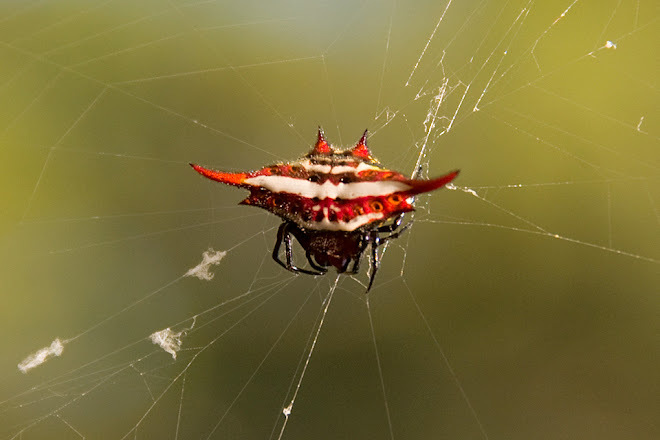 Back at Mlilwane, I spent the rest of the afternoon photographing some of the colorful spiders that could be found throughout the campsite. After dinner, we watched a series of Swazi dance performances by some local dance troupes. These dancers had a greater variety of moves than the Zulu dancers in South Africa, who seemed to just stomp as hard as possible. Afterward, we sat in a trance around the fire, which has become the camping equivalent of a television.